It can go 183 miles on a single charge, and it will utterly revolutionize transport. 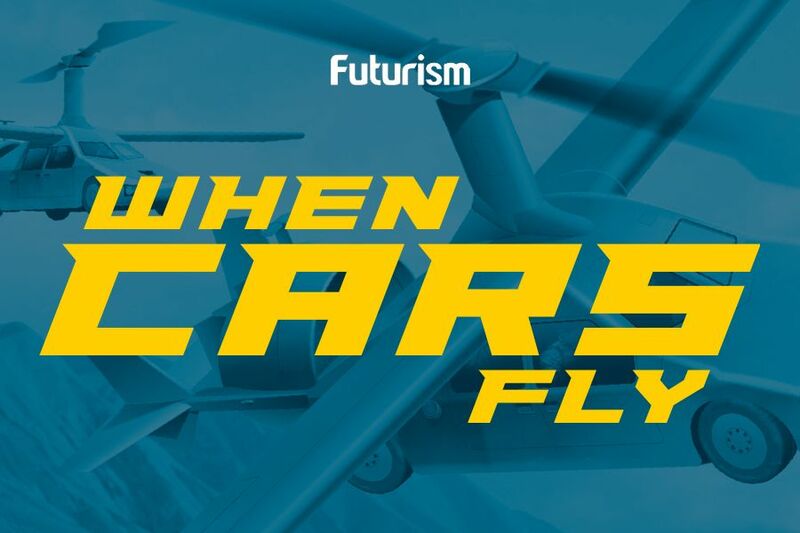 If you’ve been begging the universe for a flying car for your entire life, you may soon be able to stop asking (sort of). This week, Germany-based company Lilium Aviation took its new all-electric, two-seater vertical take-off and landing (VTOL) prototype for its first test flight. The jet was piloted remotely during the tests, but its creators say the vehicle’s first manned flight will happen soon. Thirty-six separate jet engines mounted on 12 movable flaps on the Lilium Jet’s 10-meter-long wings power the craft. The flaps point down at take-off to provide vertical lift, and then they tilt gradually into a horizontal position for forward thrust. Lilium says that its electric battery enables the aircraft to reach a maximum cruising speed of 300 kph (183 mph) and achieve a range of 300 kilometers (183 miles), all while it “consumes around 90 percent less energy than drone-style aircraft,” according to a recent press release. The startup plans to build a five-passenger version of the jet eventually, and Lilium envisions its product being used in an on-demand capacity in dense, urban areas — the Uber of flying cars (though Uber itself is working on its own flying model). Patrick Nathen, co-founder and head of calculation and design for Lilium Jet, told The Verge that the company’s ultimate goal is to make the technology accessible for everyone, replacing expensive ground taxi trips in urban areas with flights at a fraction of the cost. Although electric-powered aviation is not yet highly developed, this prototype’s design makes it far more efficient in terms of power consumption than other electric aircraft. And although electric cars with the same 1,000-pound batteries used in this aircraft are typically limited to a range of about 482 kilometers (300 miles) per charge, Nathen says that’s enough for their jet. This jet and virtually all other innovative vehicles in development right now will run on renewables. This is more than a trend — it is simply the way of the future. Tesla vehicles will soon be as affordable as standard vehicles, and their semi trucks and pickups are on the way. This kind of electric-powered aircraft is the next step in truly getting clean energy off the ground while leaving fossil fuels in it.